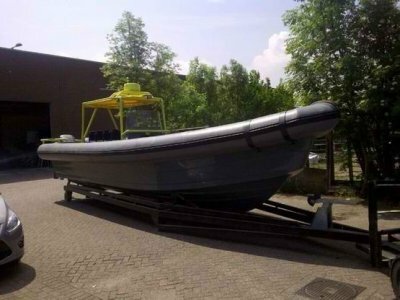 This specification describes the design and construction of the tactically-seized, proven reliable, rough sea-going 11M advanced composite vessel which will be arranged as a fast interceptor craft (hereafter referred to as "vessel") to use in coastal waters with armour and equipment capacities to focus the following operating missions: a. Terrorist activities interception; b. Coastal defense against illegal activities and smuggling; c. Interception of hostile vessels; d. Fishery control; e. Protecting natural resources against unauthorized exploitation; f. Offshore facilities protection; g. SAR operations; h. Detecting and fighting sea pollution; i. Oil field security and protection; j. Mid-range combat operation. 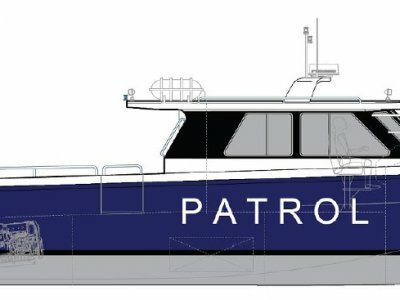 The vessel is to be surveyed to latest Rules and Regulations for the Classification of CCS, notated as fast coastal patrol boat. 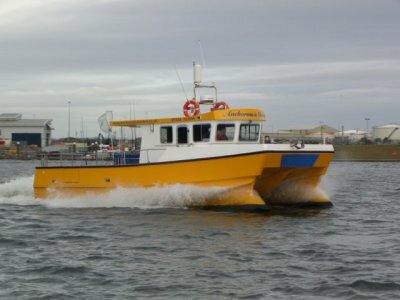 As such, the vessel will meet the requirements in the coastal navigation rules and shall comply with the requirements of main class for stability purposes of the CCS "Rules for the Classification of Ships". The Builder will appoint an approved Surveyor to carry out survey inspections during construction as per Survey requirements. o Bow entry deadrise: 29 deg. o Midship deadrise: 22 deg. o Stern transom deadrise: 18 deg. 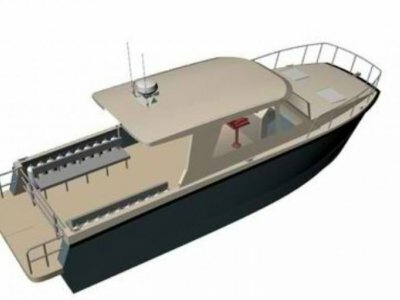 The vessel will be designed with layout shown as per the GA drawings. The special layout for is ergonomically optimized while the position of the each console centre is well located to give best pilot visibility and driving comfort for sustained operations. The hull form is well proven and will be double-chined, variable deadrise deep V high performance form with a fine forward entry, flared bow, wide chine flats and planing flats. Superstructure with minimal windage drag/silhouette profile. A life span of 10 years, allowing for 500 running hours of average annual usage with sustained operations of 5-6 hours/ day. Ambient air temperature of up to 35 deg C.
Sea water temperature of up to 25 deg. C.
Relative humidity of up to 90% at 35 deg. C.
The shipyard is accredited to ISO 9001:2008 which is certified by RINA and CCS, both are members of International Association of Classification Societies (IACS).